Signage for a development in the Capital Hill area for Seattle-based developer The Dwelling Company. Hoarding is 8′ tall and stretches 40 feet across, wrapping around another 8′ at each end. Shown is both the longer 40′ length (top) as well as both end sections with the 40′ length (bottom). 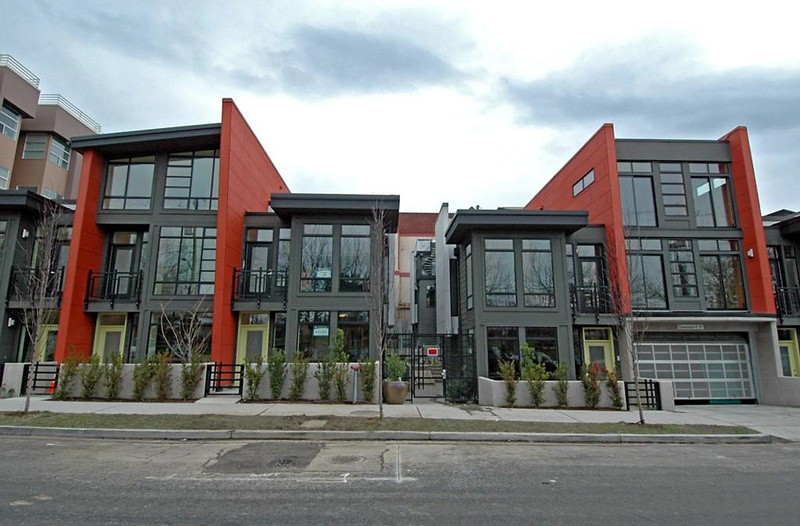 Here’s what the final Twenty Five on the Park homes look like. 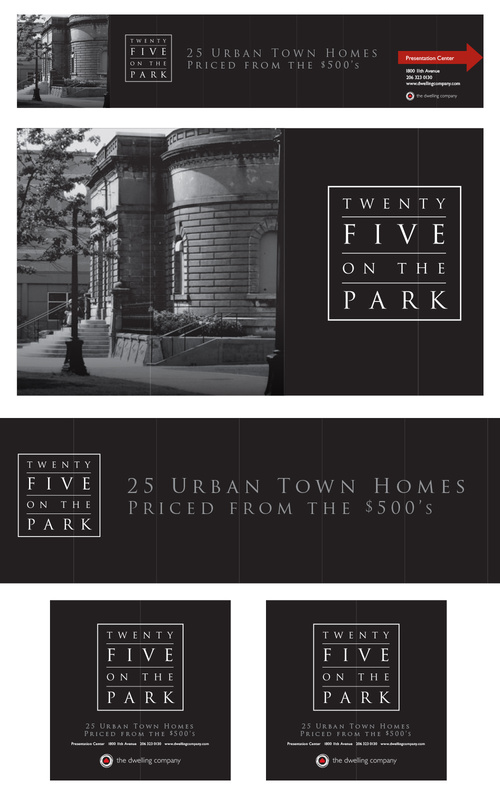 See also the Twenty Five on the Park logo.